So you are thinking about putting some of your belongings in storage, what are the options, what is the best way to do it? Well here we try to help you choose the best option for you using our experience over the last 20 years. You may not always know how long you will be in storage for, but try to gauge if it is going to be weeks, months or years. Go for the worst case scenario if you have too and ask for quotes based on these figures. The more honest you can be to begin with, will then help avoid any un-necessary confusion during the store. How much are you looking to store? There are many options out there and the amount of storage may be the deciding factor. Do you just have a few boxes? Or maybe you need to store nearly all of your possessions? 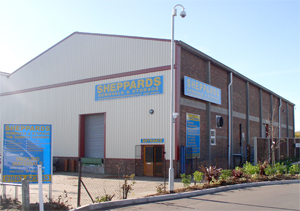 Generally storage firm’s measure and charge space in square feet or metres. If it is an odd box then self storage may be adequate and better value for money. If you are talking larger amounts and furniture then a specialist storage company may be the answer. Not only for the fact that they can help you move and return your items with minimal fuss. How often will you need access to your belongings? If there are things you know you will need, try and leave them at the front and clearly marked. If you are going to need access frequently make sure you discuss this with your storage provider and make sure they can provide you with the level of service you require. If you have sofas and are storing them for a period of time try not to pack them into small spaces or lean other heavy items on cushions. After time parts can become distorted and will probably never regain their original shape. Look for a removal and storage firm have specially made covers and storage racks to ensure that all furniture is kept in separate bays, aired and in pristine condition. Never put food or drink into storage! If it goes off and affects your belongings you may not be covered by your insurance. If you are putting any food stuffs into storage, make sure you clear it with your storage provider first. Ensure all your white goods are cleaned; smell free and completely drained of any excess water. Damp, mildew and seizure of components can occur on machines with water left in the system, so ensure they are drained properly or you may have an expensive repair bill . 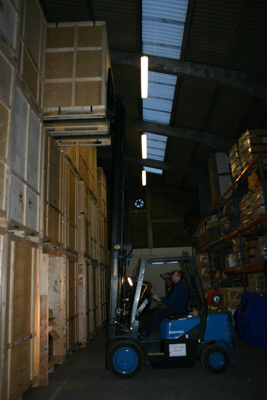 Specialist storage firms can usually provide storage options for box files and other office equipment. These are generally walk in containers with shelves and a working area should staff need access to archived files. Computer and electronic equipment can also be stored in special high density plastic boxes. Make sure your happy that your goods are safe. Self Storage firms often leave locking and padlocks to the customer, but are they heavy duty enough? More Specialist firms provide supervised access to an area only with your belongings open to ensure that safety and security is paramount. Choosing a suitable removal company.